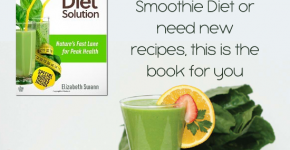 Stuck on a gift idea for your sweetie? 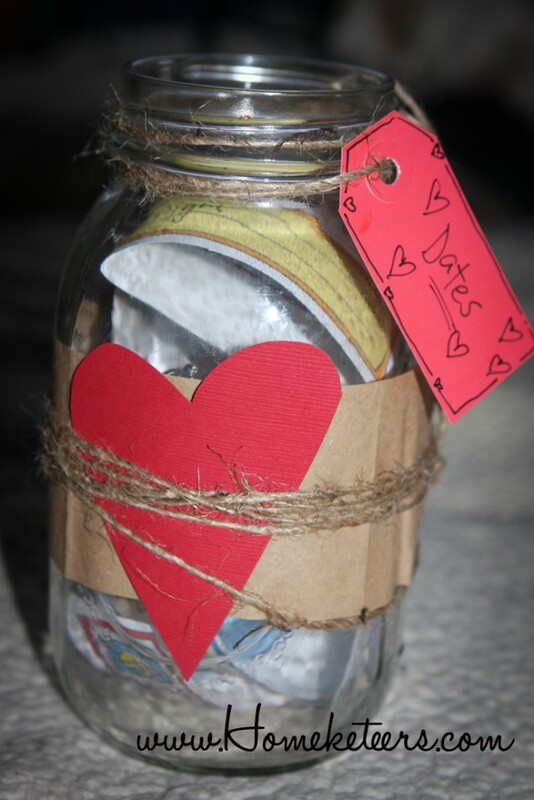 This is a quick and fun idea for a last minute gift for your significant other 🙂 All you need is an empty jar, some twine and cardstock and a tag! 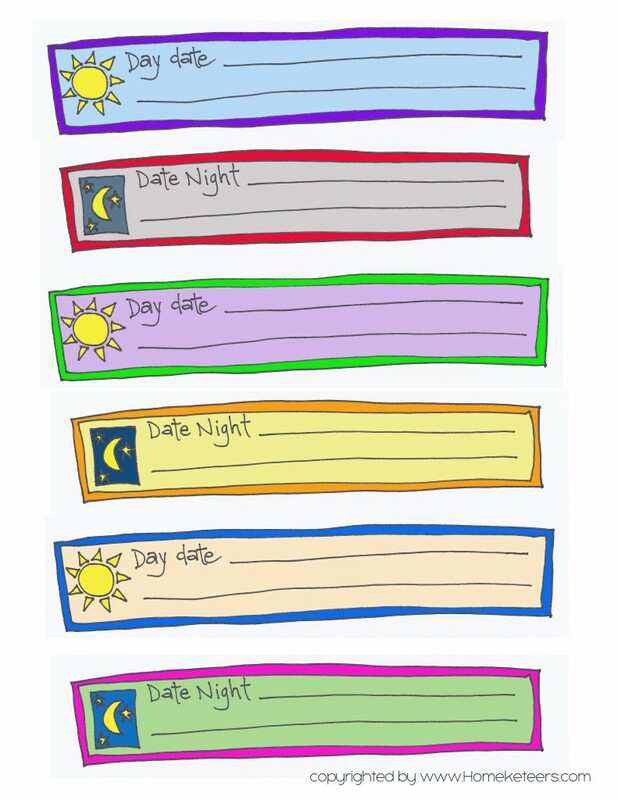 Feel free to print out the Free printables that I designed here to go with this! For your jar, decorate as you wish. For mine, I cut out a heart from textured red cardstock and I cut a piece out of a brown paper bag. I glued the paper bag loop around the middle of the jar, then I glued the heart to the middle of that. I wrapped plain twine around the middle of the jar several times and tied a knot in the end of it. 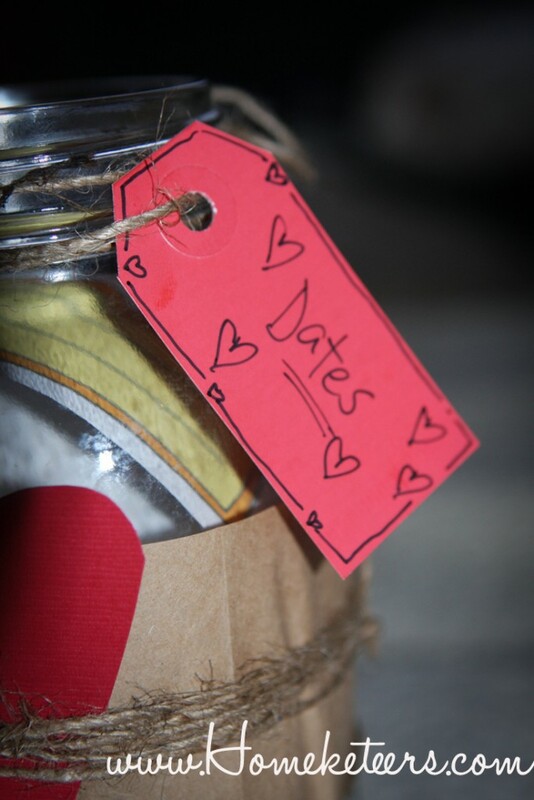 Then I simply added a little tag to the rim of the jar and doodled on it for the finishing touch! 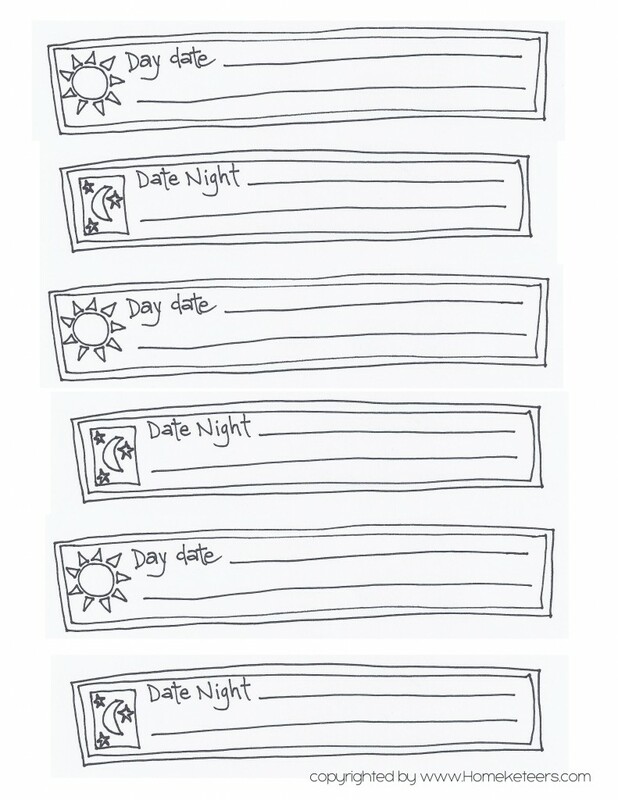 Print out the Date Night Idea Strips here in color or black and white (and color them in yourself!) 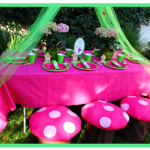 or draw your own. 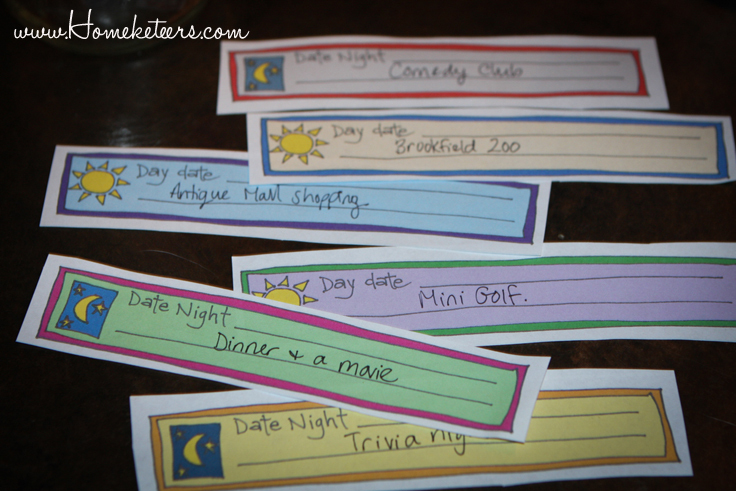 Write down some fun ideas for dates (the printables include spaces for both Day Dates and Date Nights), fold up and pop them into the jar. 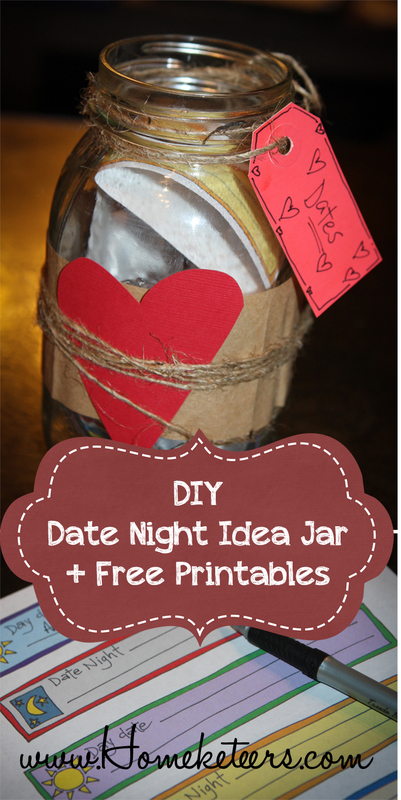 Next time you’re stuck on a date idea, take turns drawing one from the jar!